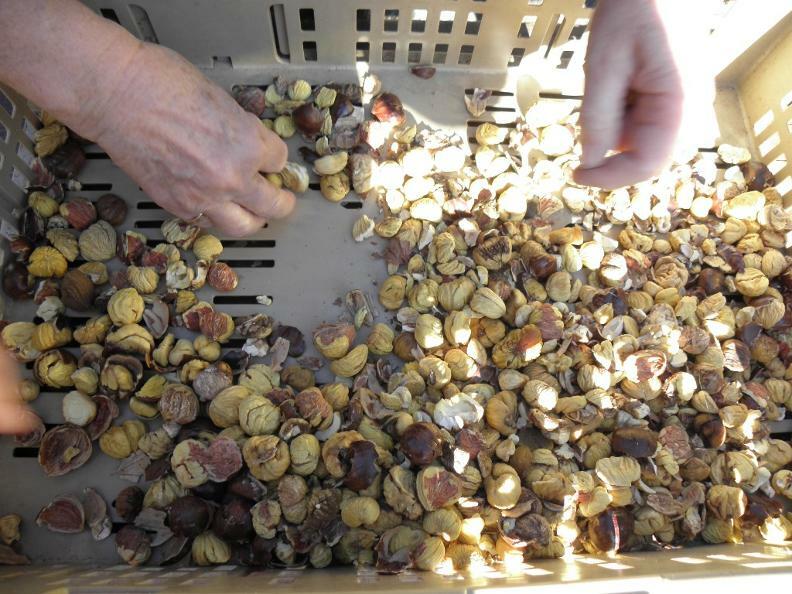 Every year, the working group at the Moghegno grà loads and unloads the grà in the traditional way to raise awareness and pass down information about this vital way of drying and preserving chestnuts that has marked the lives of the valley’s inhabitants over the last centuries. 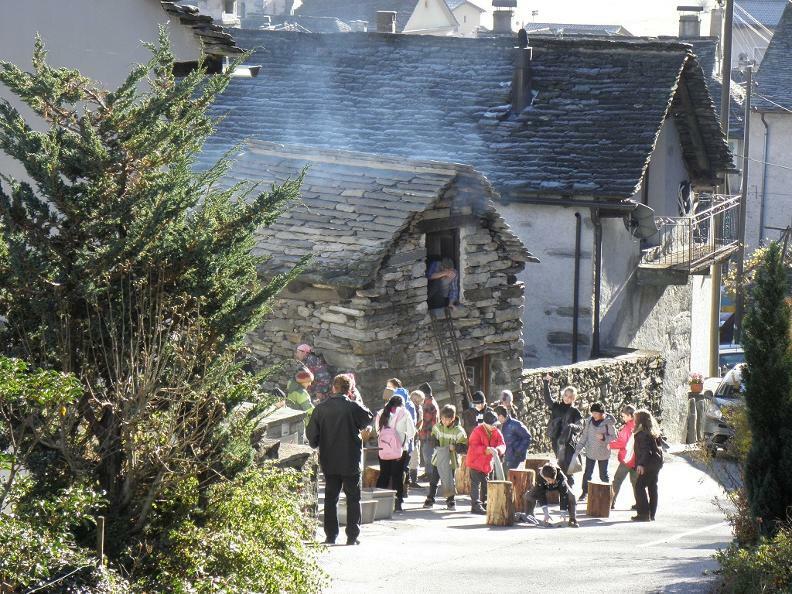 The loading of the grà takes place in mid-October (this year will be at 17.10.2019) and involves weighing and recording the chestnuts that are moved from their owners to the grà before they are placed on the lattice on the top floor of the small stone structure. A fire is then lit below to generate the heat needed for the drying process. 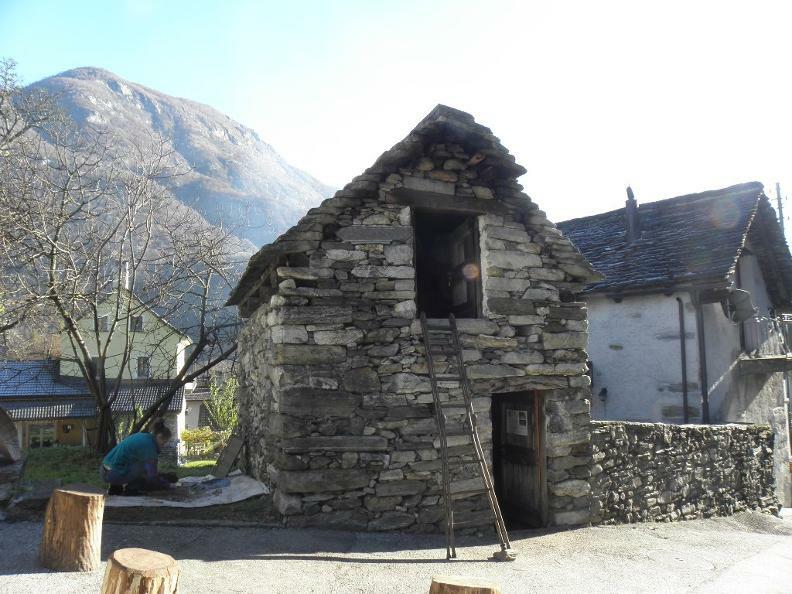 The fire will remain lit for three successive weeks and is checked daily by those in charge of the fire until it is time to unload the chestnuts, usually between late October and mid-November (this year will be at 7.11.2019). More about the unloading of the grà.